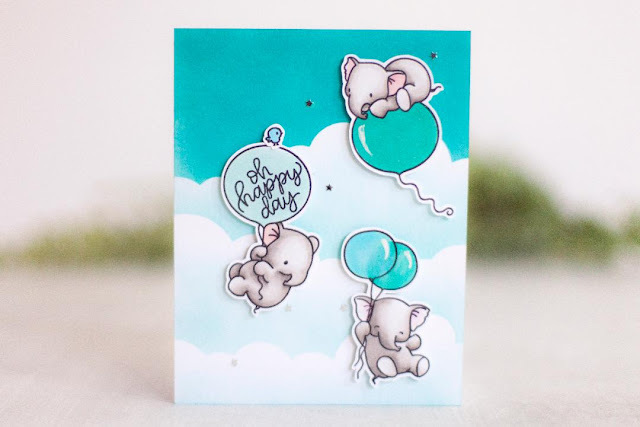 I am back with another card today featuring Mama Elephant Fly With Me stamp set. I used distress oxide in peacock feathers and the MFT stamps cloud stencil for the background. Its a really simple card; perfect for my friends babyshower.